In the last year, Seattle’s Death Cab For Cutie has latched on to a scene of college and high school kids who are devout fans that are moved by the band’s raw, inventive, creative talent and attractive, imaginative melodies. The story of Death Cab For Cutie traces back almost ten years to 1997 in the college town of Bellingham, Wash. 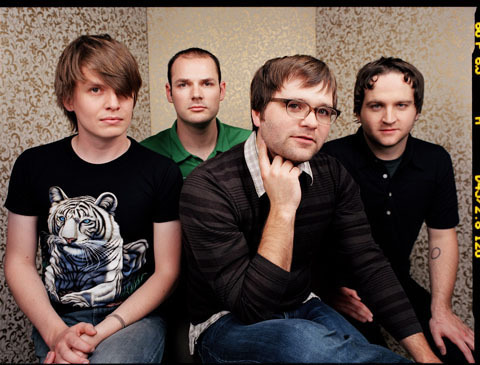 It was there that Death Cab For Cutie front man Ben Gibbard met fellow guitarist/producer Chris Walla and bassist Nick Harmer. The band’s line-up would not be solidified until 2002, when drummer Jason McGerr became a full-time member. “In October of 2002 we decided to give it a shot, and the rest is history. But I’ve known them for over ten years, so it’s not like I met them in an audition, we’ve been playing shows together for a long time,” said McGerr, in a recent interview with The Marquee. After creating a positive buzz in the legendary Seattle music scene, Death Cab faced the daunting task of becoming a national act. “When I stepped into it, I did one van tour with them and after that point we started to add crew and then it turned into something bigger — not what it is today, but slowly and surely we got to where we are,” said McGerr. Relentless touring both in the U.S. and overseas, with a lot of persistence, pushed Death Cab over the hump that most bands never come close to crossing. Aside from their consistent touring, two great studio albums helped with that push over the hump. Transatlanticism was the first of two breakthrough records for Death Cab, followed by the critically acclaimed and commercially successful Plans. McGerr stated it very simply, “If Transatlanticism was an inhale, Plans is the exhale.” Released within two years of each other, Plans shows a definite maturing within the band and the first single, “Soul Meets Body,” is one of the few choruses where all that is required for a sing-along is a “ba-ba-ba.” As for the rest of Plans, the striking melodies and relatable themes seem to hit close to home with a lot of today’s youth. The material on Plans is a collaborative effort; each member contributes to a certain extent. “We all have input in the recording process but the embryo of the songs comes from Ben (Gibbard),” said McGerr. With a thriving album and a dedicated fan base, Death Cab returned to what brought them their fame — the road. Making a stop in England, and then at Lollapalooza in Chicago, Death Cab has a very busy tour schedule — that is met with a feverish desire by its fans. 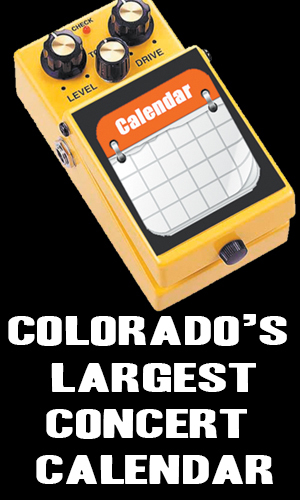 Tickets sold so well for the first Denver show that the band added a second concert at the Fillmore Auditorium. Once the fifteen-date tour concludes, Death Cab will be taking a much-deserved break. “For the last four years we have been on tour eight months of the year and we are all looking forward to a break, and then we will reconvene in the fall of next year and work on the next record,” said McGerr. For those who have yet to hail the Cab, McGerr characterizes the band’s music saying, “It is pop music that is a reflection of society, the times and a state of the world without being too political.” Death Cab For Cutie sings about heartbreak and other issues that a younger generation can easily relate to. When Gibbard sings, “’Cause in my head there’s a Greyhound Station/ Where I send my thoughts to far off destinations/ So they may have a chance of finding a place/ Where they’re far more suited than here.” Those thoughts he sends off are the essence of Death Cab For Cutie.